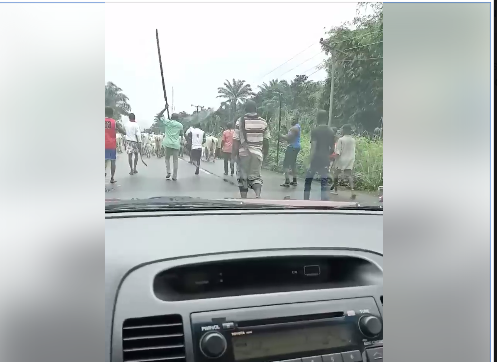 The people of Amichi in Nnewi South Local Government Area, Anambra State, decided not to take any chance after some Fulani herdsmen ‘pitched their camp’ in their community. The herdsmen had arrived the town and wanted to graze their cattle but the villagers refused and told them they are not welcomed in the community. 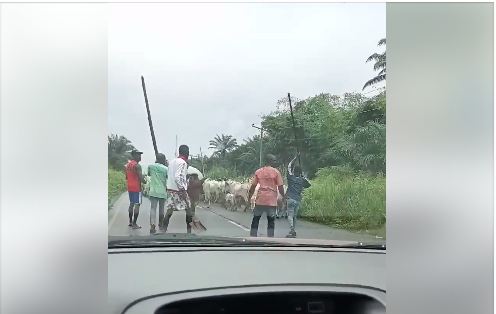 The security men in the village accompanied by the youths peacefully chased the herdsmen and their cows out of the community. They villagers ensured they escorted the unwanted guests out of their village and warned them never to return. 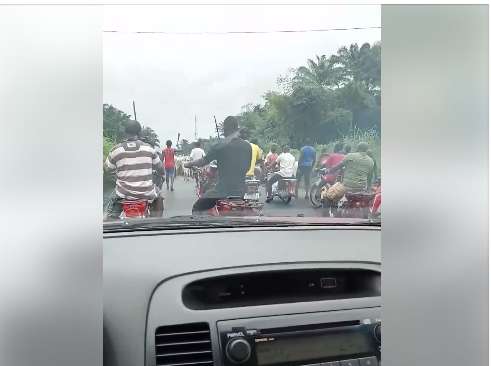 0 Response to "See What Villagers Did To Fulani Herdsmen And Their Cows In Anambra (Photos/Video)"